lamazo45, 03 Nov 2011I lost my treo pro battery, and i dont know where to get the new one. I'm in Tanzania. Help me... moreYou can find the battery on eBay. I also have the Tre Pro. Its fantastic cellula bt i hav aproblem,hw can i download face book on mi palm treo n hw can i set mi intenent. 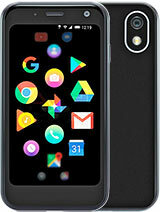 If you love the palm phones you will love this one, stil uses the sync tech with ease not like the palm pre using the web platform and good luck with Yahoo to get all your info changed over, I hate the palm pre worst phone they ever made. Stay with this one, by one on Ebay if yours breaks. Easy quick and built strong. Good Luck. As I have used this Mobile .. My opinion about mobile the mobile Function is very good. Every one can Use this mobile If he have some type of Info about how to use. The Internet borwsing very fast on this Mobile.. I can not browse with my palm treo again. I got my Palm Treo with CDMA connection on Reliance. Can anyone suggest that how i can upgrade old windows 6.1 to latest one ?? Never had such a ridiculously inefficient phone, everything is complicated, calls end with no reason, connects to internet by itself ($$$), wifi drains battery in few hours, except skype, no good applications available, does not work with most of new wifi routers. will activate programs and calls even when locked. Can not be turned totally off. i have had this phone for like 2years now unfortunately the casing is worn out and am unable to use the touch screen coz its not responding............Can someone advice me how i cn get it repaired and where? ?Am in Qatar any service dealer you know here?I need help ASAP PLZ. lamazo45, 29 Jun 2011Hi, Guys!! Can anybody help me to know the CTRL KEY (control button) on my Palm treo pro!? Hel... moreIf you pull up the keyboard icon you can use the typewriter keyboard and the CTRL button will be right there on the lower left hand side. kindly let know Palm Treo Pro supports WM 5.x ?? Hi, Guys!! Can anybody help me to know the CTRL KEY (control button) on my Palm treo pro!? Help me please. Hi, Guys!! Can anybody help me to show the CTRL BUTTON (control button)!? Please.